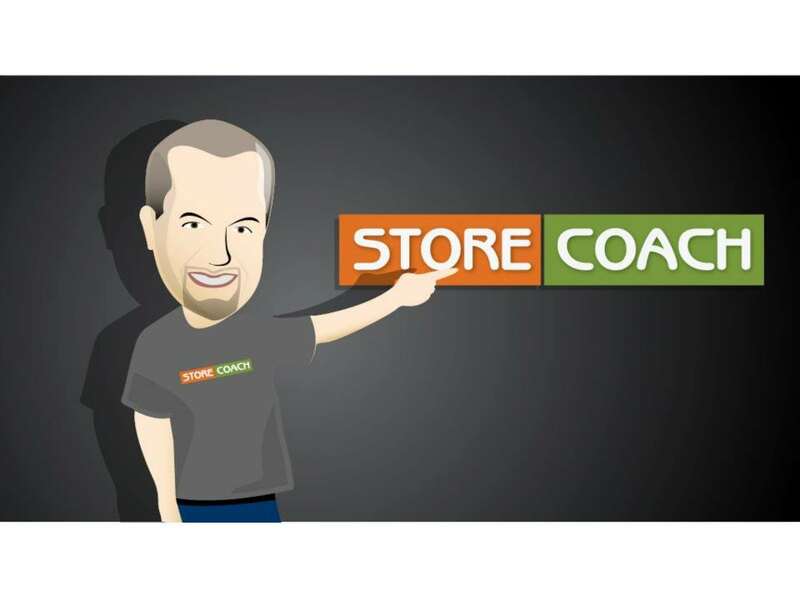 Learn Dave from StoreCoach runs 100 eCommerce stores! Dave from StoreCoach runs 100 eCommerce stores without breaking a sweat. Here’s his secret! If you think running one eCommerce store is tough, try running 100. That’s what Dave and his brothers from StoreCoach have done in the last couple of years, and to add the icing on the cake, they’re teaching us (and you guys) here on how to do it. 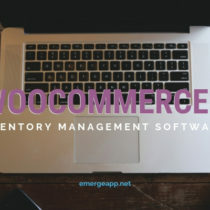 The team here at EMERGE App can vouch for what Dave is doing over at StoreCoach, because we’re also looking and trying to practice what they are teaching in the course. It’s something that should not be missed and you can find out more here. In this little chat we had with Dave, we find out about how to break down the e-commerce store into little problems where you can tackle on your own. There’s no need to get frustrated and lost when you are stuck in a rut. Simply head over to StoreCoach and find what you need. Q: StoreCoach sounds amazing. We are so impressed with your store philosophy. What made you decide to share your secret formula with the world. What are the hardest things to duplicate and why? Dave from StoreCoach: Yeah, well, I mean StoreCoach came from just our years of experience doing our own digital e-commerce stores. We actually previously were involved in a few very popular digital eCommerce training courses. But we decided people wanted more than just a onetime digital training that was never updated. 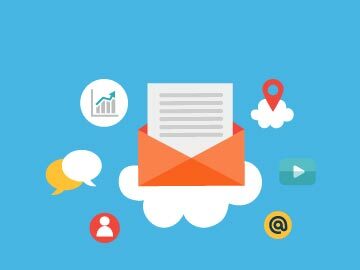 We knew that people wanted a community that was frequently updating as things change in the world of eCommerce and online marketing where they could be part of the community and stay in touch as far as that information goes and make connections with other people in the industry because connections are super important to help you grow and find ways to expand. So that’s the main reason we created StoreCoach. We knew that there was a need for that sort of online community. There were lots of one-time digital training courses like PDFs, and onetime courses that were never updated and we wanted something that was more liquid. Something that change and stay updated as the world of e-commerce change. Q: What are the challenges to start an online eCommerce business? Dave from StoreCoach: Ok. The biggest challenge is for somebody who has an offline business and wants to create an eCommerce store, those challenges are different from someone who just wants to make money online and has no connections, has no existing product and we kind of handle all to those situations on StoreCoach. We’ve tried to create a community that will help anyone and everyone who wants to promote or sell products online. Our main course is really aimed at people who are running an e-commerce store of any type whether they stock and ship their own products or whether they have a distributor manufacturer drop ship direct and they don’t carry any inventory themselves, or even if they just want to do an affiliate product store an affiliate review store and refer people to other retailers and not deal with the product themselves at all. So our course kind of covers everything but it has an emphasis on eCommerce. The biggest challenge is for folks who have a brick and mortar are really, I mean really, in my opinion, it’s the software and the way that you market online versus the way you market in the real world. So most of the brick and mortar store owners that we worked with, they’re trying to move on the online marketing in the actual eCommerce platform. Those have been the two big challenges for them. They’re scared and they’re intimidated by the software. They know the systems that they’re using in their real world store but they don’t want to learn a whole new system to get the products live in the cyber world. And then on top of that, they have no idea how to market the store once they get it launched. And like I said, for the folks who have an offline business and they just want to start their own online store. Those same two concerns exist but in addition to that, they have no idea how they’re going to choose which product line to build the store around and how they’re going to source those products at wholesale. So those are definitely the biggest challenges for those two different scenarios. Q: Yup, that definitely makes sense. Having open more than 50 eCcommerce websites, what is the common thing that a first-time eCcommerce retailer should look out for? Dave from StoreCoach: Well, it’s actually over 100 stores now. We’ve build another 50 or so in the last year since that was updated on the site so we’re over 100 now. Dave from StoreCoach: Probably the most challenging thing when you go to start a new store is selecting the right niche because it makes or breaks your online business before you even get started. Because if you choose a niche where there’s really really low profit per order or the competition is just insane. Every major retailer and there’s already major specialty niche stores that are built around that store. Or if you just plain can’t find a reliable supplier and that ties into the margin as well either they don’t have good enough margins or they’re just plain awful to work with. They take forever to ship, or they never provide tracking, or they refuse to take returns. So it’s super important to that upfront before you officially open your new store or get started on your new store. You need to make sure that you’re selecting a niche that’s basically setting you up to succeed and not setting you up to fail. For us the main things we look at are, we call them the Big 4 Factors. We look for enough search volume for the phrases that represent that product which is easy to look at. You can look at the keyword planner tool or we actually develop our own tool called Niche Finder Pro that helps you identify these four factors, these four metrics that we look at. So we look at daily search volume, then we look at what we call the Can I rank score which is basically we look at just how good Page 1 competition is on Google because that’s the ultimate goal is whether you’re doing pay per click or actually getting organic rankings or both. The other folks on Page 1 that’s what you need to worry about most. And then the third factor we look at is what we call intent to buy so we want to make sure that whatever phrases we select will represent the product line we’re going to sell show intent. And there are ways to tell if there’s intent like descriptive words, like words that explain the metal or the color or the brand of the product type. So for example if, I always use the example of bird cages because that was the first hugely successful e-commerce store I ever did. The phrase bird cage has fair amount of intent because it represents a product type which is a good thing. But higher intent phrases are phrases like bird cages for sale or large bird cages or metal bird cages or powder coated bird cages. Those are what we consider high intent phrases because somebody not only knows that they want a bird cage, they’re looking for a specific type of bird cage so they’ve already done a fair amount of research or they’ve already have that type of product before and they’ve drill down to exactly what type they want. Those are really the high intent phrases. 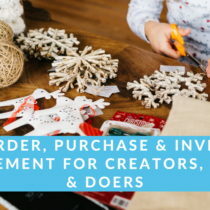 And then the fourth big factor we look at is profit per order and we usually teach our students to kind of guess estimate a 20% net profit per order because that’s not something you know of when you’re looking at the niche. Most niches after you select them you’re able to find a reliable supplier that offers at least 20% market margins. So that’s the early stages when you’re trying to select a niche. All you can look at is what is the average product within that niche is selling for and you have just to guess estimate that you’re going to be able to get a 20% margin. So that’s how you anticipate the margins. Again, just to recap, it’s daily search volume, it’s the Can I rank factor, it’s intent to buy in the phrase, and then it anticipates a profit per order. Those are the four big factors and if you can find a product line that passes with flying colors on all four of those factors that’s what we consider a solid niche to build a store around. Q: I think you have explained a bit of this answer during the second one as well. So in your online course, you mentioned about the four-phase process, can you elaborate a little more on this process? I believe you answer this or you want to add a few more things for this? Dave from StoreCoach: Yeah, well that’s actually the four phases of the training. They’re actually separate from the four considerations when selecting a niche. Give me a sec here, let me pull something up really quick. The first phase is Phase 1 and we consider that the Planning Phase. That’s when you, and obviously each phase is going to be a little bit different depending on whether you already have an offline business and you’re taking it online or you’re just a newbie who knows that they want to make money online with on e-commerce but doesn’t know how yet. Phase 1 is the Planning Phase and that’s where you choose your niche. 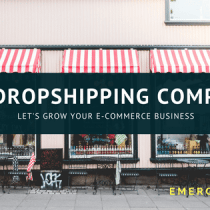 That’s where you choose what your actual website model is going to be, whether you’re going to be an affiliate product store or you’re going to actually stock and ship products or you’re going to use drop ship fulfillment for your products. And the latter two are more standard e-commerce stores. And then the other component of Phase 1 is actually sourcing those products with margins so finding legitimate wholesale retailers and not just middlemen who are taking all the margin for themselves. You know what I mean? It’s finding legit wholesale products. Phase 2 is the actual build process and that’s where you’re going to plan the actual store out and actually go through all the steps to build, and then launch your store and take it live. Phase 3 is the Marketing Phase and this is super important because no matter how awesome your website is unless you can figure out ways to drive targeted traffic to that website you’re never going to be successful. We teach how to optimize your site correctly. For Google rankings we teach how to do things like get other sites to link to you to improve your rankings. And we talk about things like positive ROI pay per click traffic and ways to drive direct referral traffic. So that Phase 3 marketing section is all just about getting targeted traffic that has a positive ROI that actually cost you less than you’re making per order. 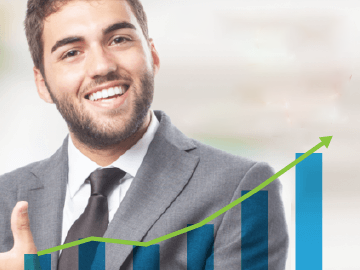 Phase 4 is all about operations so we talk about maximizing your conversion rate, we talk about way to improve your profit margins, we talk about how to hire and train employees or virtual assistants. Basically, ways to streamline your store operations and just improve your profit margin overall. Q: Cool. Let me give a shout out to this course to our audience probably they can come and sign up and then they can look through all the phases and they can understand better. Dave from StoreCoach: Sure, yeah, and I think you’re probably aware of this Rav but our basic training course which is about 90% of it’s all the core stuff. You can access it with totally free membership so we don’t force people to pay a big upfront fee to access the training. Q: Cool. Moving onto the next, what’s the future of StoreCoach and as well as how do you see the future of e-commerce going. Dave from StoreCoach: Wow, really good questions. Well, I mean, StoreCoach is basically going to stay as is. We’re really just focusing on keeping it updated and constantly improving it. Like we talk about early on StoreCoach is fluid. It’s always changing and always updating to keep people on the cutting edge of e-commerce instead of being a digital PDF where it’s outdated 6 months after it’s created and it doesn’t do a lot of good. As far as the future of eCommerce goes it continues to just remain extremely right because as everybody knows at this point, any resident of Earth knows that e-commerce is just growing year after year and people are just getting accustomed to purchasing products online. It’s just more convenient. It’s faster, it’s easier than going store to store and spending half of your day selecting one product. People just jump online now. They know how to do quick product research and they make a decision and they purchase. E-commerce continues to grow. And really everybody that’s starting online stores whether they’re going from a real world brick and mortar or starting one from scratch to make money on the side or to replace their day job. It’s a good way to go. It’s one of the sectors that grows year after year after year. Q: If there is just one thing, a brick and mortar retailers have to get right to succeed in eCommerce world what would it be and why? Dave from StoreCoach: So one thing, to me, the biggest thing would be to build a sound website that has a lot of useful information on it. Because if you do your site correctly especially if it’s loaded with really really good content. We have sites that are on Page 1 of Google after 2 years organically for just about every phrase that you can think of that have virtually no backlinks at all. They have literally no other sites out on the web linking to them. I mean, it really makes sense to market your store and find ways to drive traffic to your store that has a positive ROI. But the most important core factor for taking your offline store and putting it online is going to be a really well-built website that has a lot of useful content because that can do pretty well without ever getting a link to this site or doing paid advertising. If your website is good enough that people stick around when they find it you’ll continue to improve your rankings in the search engines and get more and more traffic month after month even without doing any other marketing.